On April 30th, 2014 the ALMOST Complete Robotech Novel Collection will be available to buy in electronic book form via Amazon and ITunes. The Sagas of Macross, Southern Cross and New Generation have been available for a few years. Now, the collection will include the COMPLETE Sentinels story, the "Lost Generation" Novels taking place between the Macross and Southern Cross Sagas respectively and finally the ONLY "conclusion" of the Robotech story ever done, End of the Circle. I say ALMOST Complete because of possible "legal issues" the title *Masters Gambit* will not be available. But nonetheless, it is a great addition for any Robotech fan to have. But not to worry...the podcast will cover that Novel when we get to it. I have been cautious as the e-books that have been out since 2007 had "notes and timelines" (not done by the McKinney team) in them that in my opinion tried to diminish their value in Robotech and for that reason I did not publicly endorse them. I am still cautious about these new releases, but, for the most part they do honor Brian and Jim's work. 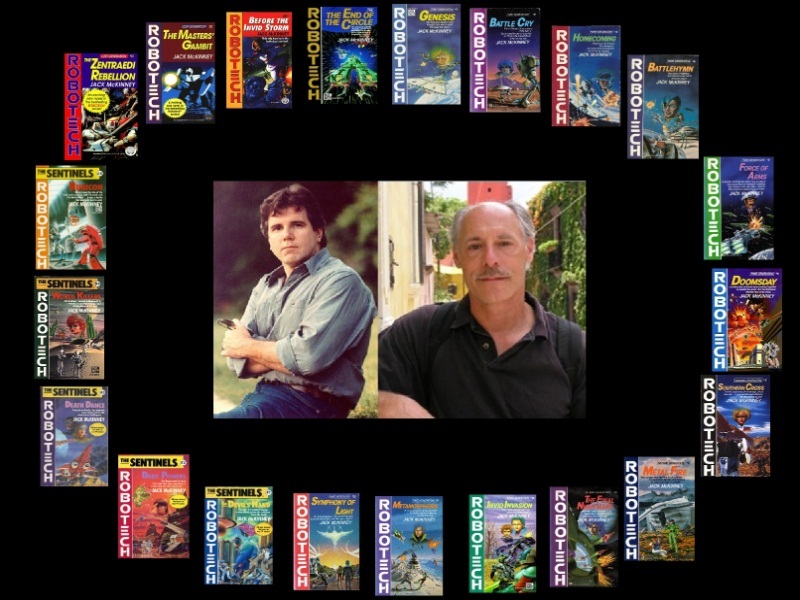 In speaking to Jim Luceno, he has confirmed that there are additions here and there to the Novels story which he did write. Thank you to all and new Epsiodes will be up very soon!